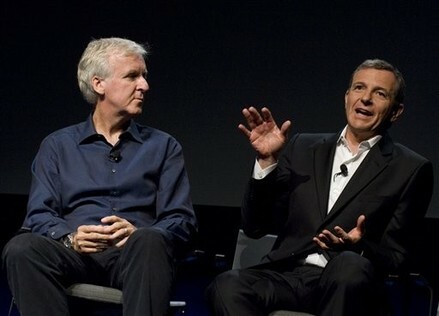 James Cameron (left) in this file photo with Walt Disney president and CEO Robert A. Iger at a media briefing in Glendale, Calfornia, September 20, 2011, to announce a long-term agreement that will bring “Avatar” themed lands to Disney parks. LOS ANGELES, March 9 — “Titanic” film director James Cameron yesterday unveiled plans to pilot a specially designed submarine to the deepest point on the planet, the Mariana Trench in the Pacific Ocean southwest of Guam. The real-life adventure, as opposed to the ones Cameron has created in films such as “Avatar” and “Aliens”, will see Cameron travel seven miles (11.3km) below the ocean’s surface, where he will collect research samples for marine biology and geology. The lowest point of the Mariana Trench, known as “Challenger Deep”, has been reached only once before in 1960 when US Navy Lt Don Walsh and Swiss oceanographer Jacques Piccard spent 20 minutes there in the bathyscaphe Trieste. Cameron plans to spend six hours there. “The deep trenches are the last unexplored frontier on our planet, with scientific riches enough to fill a hundred years of exploration,” Cameron said in a statement. The exploration is a joint project by Cameron, the National Geographic Society, and watchmaker Rolex that is being called the “Deepsea Challenge” and is designed to expand knowledge of unknown portions of Earth. Cameron’s submersible represents breakthroughs in materials science, structural engineering and imaging through an ultra-small, full ocean depth-rated stereoscopic camera. 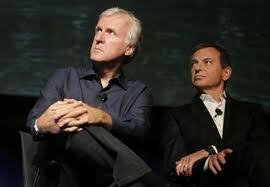 While he is perhaps better known for movies, Cameron is no stranger to underwater exploration. For “Titanic”, he took 12 dives to the famed shipwreck in the North Atlantic, leading him to develop deep-sea film and exploration technology.